The Asian country of Myanmar is home to a series of thousand-year old stupa temples and pagodas that appear to have been intentionally designed and built to resemble ancient pyramids. In this article, we´ll explore seven examples of this “pyramid” motif, and question whether these monuments may have been constructed atop actual prehistoric pyramids to encase and preserve them. We´ll look at how Myanmar´s Master Masons successfully married the “pyramid” shape to the Buddhist stupa and pagoda concepts. We´ll also see how this marriage to Buddhism may shed a new and interesting light on the mystery and meaning of ancient pyramids around the world. There are thousands of temples across the southeast Asian country of Myanmar (formerly Burma) that resemble ancient pyramids. But these pyramids are not associated with Osiris, as they are in Egypt. Neither are these pyramids associated with Quetzalcoatl, as they are in Mexico. 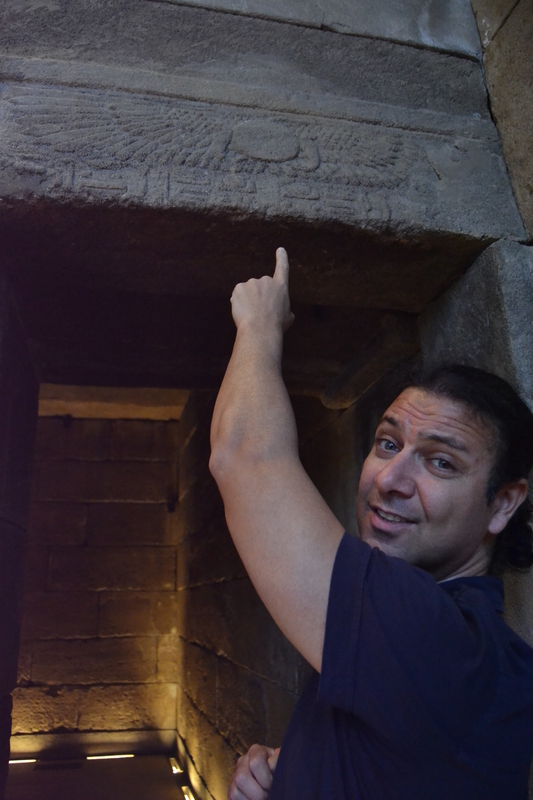 No, here, Asia´s pyramids are associated with the Buddha. Modern scholars have failed to recognize a “pattern” in the presence of ancient pyramids worldwide, and so they have never bothered to investigate the possibility that the world´s pyramids may point to a “Universal Religion” that may have existed in Antiquity. By decoding the architecture of these Buddhist pyramid-temples, we may be able to gain insight into this theorized Universal Religion, as well as the architectural role of the world´s pyramids as it pertains to this Universal Religion. 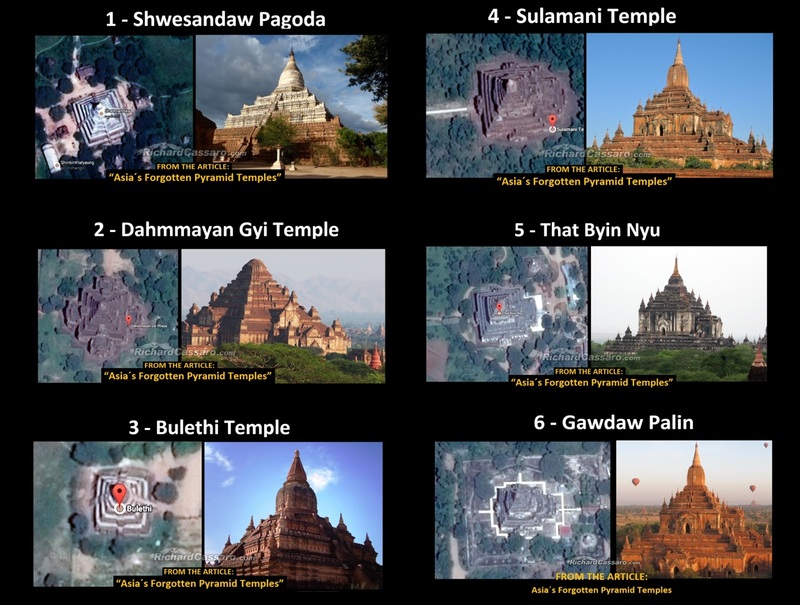 Many of Myanmar´s pyramid-temples were built in Bagan (formerly Pagan), an ancient city located in the Mandalay Region of Myanmar, from the 9th to 13th centuries. The city was the capital of the “Kingdom of Pagan,” the first kingdom to unify the regions that would later constitute modern Myanmar. Scholars tell us that during the pinnacle of the kingdom’s power, more than 10,000 Buddhist temples, pagodas, and monasteries were constructed in the Bagan plains. Unfortunately, less than half of these structures survive. In this article, we´ll take a brief look at seven of these mysterious monuments. 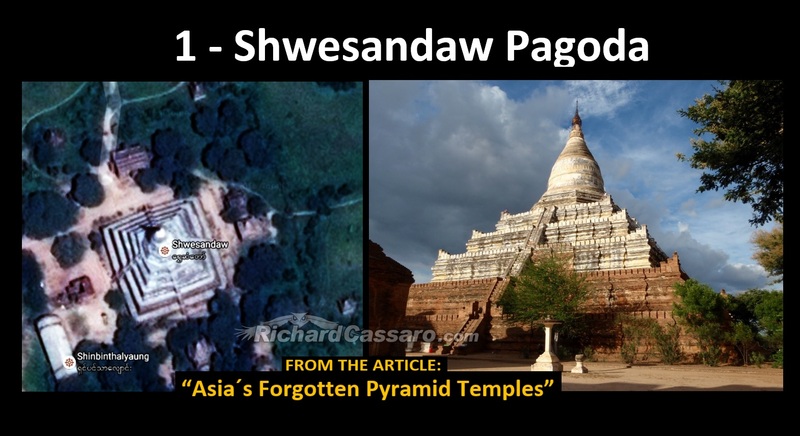 The pyramidal “Shwesandaw Pagoda” resembles many of the ancient Mayan pyramids that we find in ruins in the Yucatan. Left: Mayan pyramid of Quetzalcoatl in Mexico. Right: Pyramidal-shaped Shwesandaw Pagoda in Myanmar. 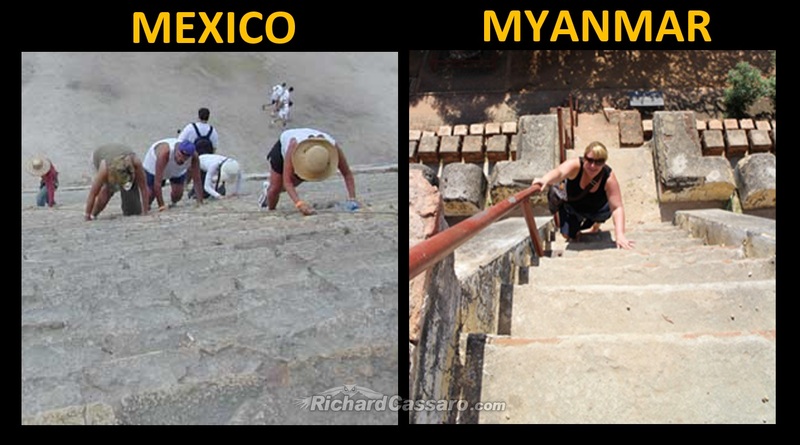 Left: The unusually steep stairways of the Pyramid of Quetzalcoatl in Mexico. Right: The unusually steep stairways of the pyramidal Shwesandaw Pagoda in Myanmar. While modern scholars will dismiss the notion that all ancient pyramids were somehow related to this Buddhist idea of awakening, the Victorian Era scholars would have been more receptive; the Victorians believed the pyramid cultures were “children” of the same ancestral “Mother Culture,” which some of them called “Atlantis” (following Plato). Is it possible that Myanmar´s pyramid-temples, which were built long after the ancient pyramid cultures fell into decline, convey the same lost “Universal Religion” as the pyramids? —A Universal Religion that has been filitered through Buddhism, but nonetheless conveys the same metaphysical goal of “awakening”? In the past few decades, some scholars have begun reexamining the evidence. These scholars believe it is unacceptable to base Myanmar´s history on the “outsider” perspective of British colonialists and European scholars of the past, who dismissed out of hand the native Burmese account of their own history. I suspect Bagan´s history stretches back much further than even 1500 BC. Furthermore, I believe that an ancient pyramid-building culture may have existed in Bagan during a formative period, and may have passed on their “pyramid tradition” to their descendants, which would explain Myanmar´s more modern pyramid-temples. The existence of ancient pyramids just north of Myanmar in Xi´an, China is cultural evidence pointing to a very ancient and powerful tradition of pyramid construction in the region. Pyramids in Xi´an China, just north of Myanmar, lend credence to the theory that Myanmar´s pyramid temples may have been based on a much older pyramid-building tradition in Myanmar. But, if this theory is correct, then where exactly are all the ancient pyramids of Myanmar? If Myanmar´s pyramid-temples are based on an older ancestral “pyramid tradition” then where are all of Myanamar´s ancient pyramids? I believe they may be sitting at the inner core of Myanmar´s pyramid-temples themselves. 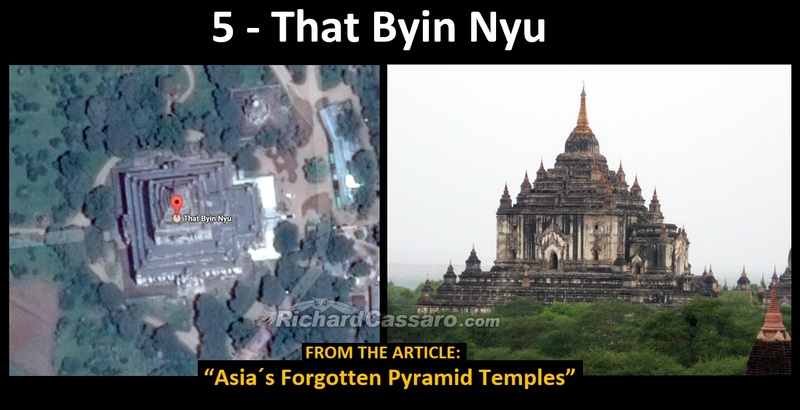 In other words, Myanmar´s pyramid-temples may be recent “re-constructions” or “restorations” or “refurbishings” of far more ancient pyramidal structures that lie beneath or rather inside these pyramid-temples, and that have been heavily eroded. 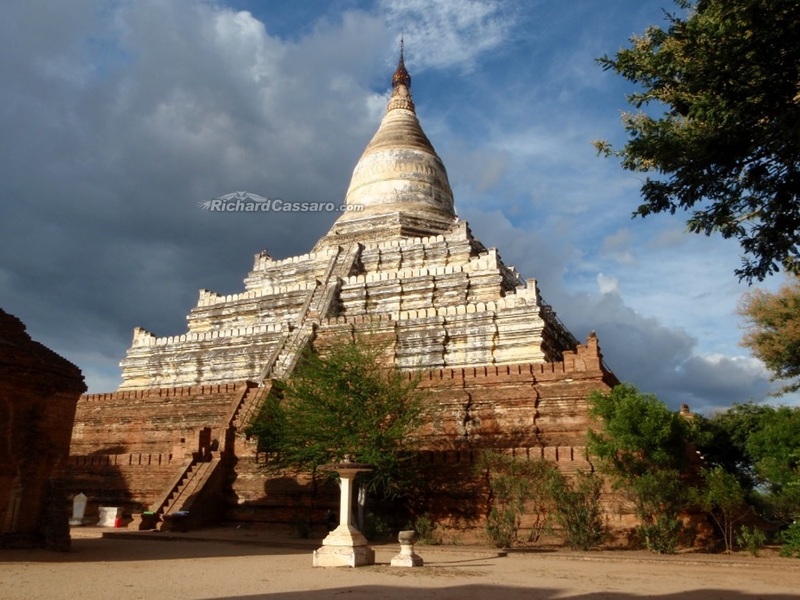 The pyramid-temples we see today in Bagan may be recent structures that have been built as “enclosures” to shelter and preserve the deteriorated and fallen ruins of far older and far more important pyramidal structures. The modern brick-by-brick method of “covering over” and thus preserving the prehistoric Sphinx statue. 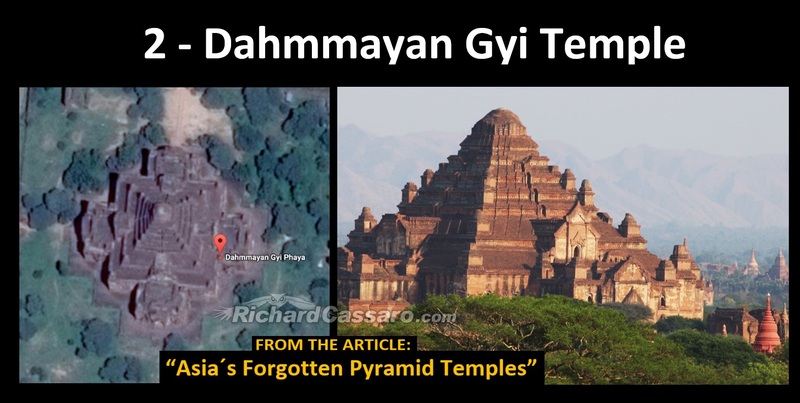 Like the Great Pyramid in Egypt, Dhammayan Gyi Temple is an “unfinished” pyramidal structure. 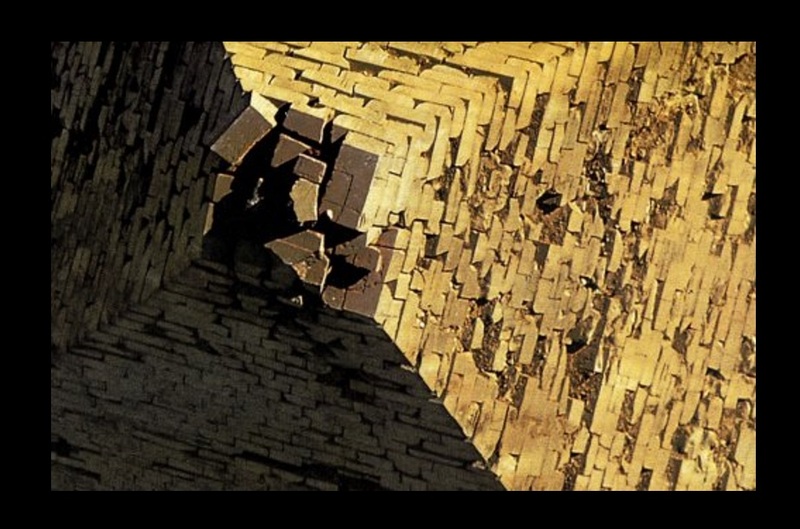 An “unfinished” pyramidal monument whose inner core was “sealed off” for unknown reasons should sound familiar to anyone who has studied the Great Pyramid in Egypt. Like many other pyramids across the world, the great Pyramid in Egypt appears unfinished. Is there a link? 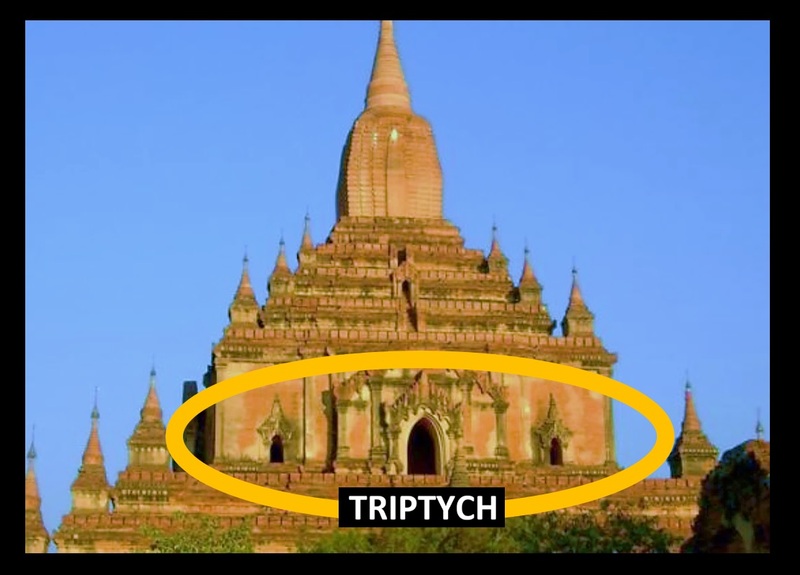 What exactly lies inside this thousand-year old pyramidal temple in Myanmar? Could there be a far more ancient pyramid at its core? A pyramid contemporary with the Egyptian, Chinese, and Mayan pyramids? Left: Buddha´s extraordinarily long pinky finger. Right: Egyptian art depicting extraordinarily long pinky fingers. This Egypt / Myanmar connection is only one of many parallels. 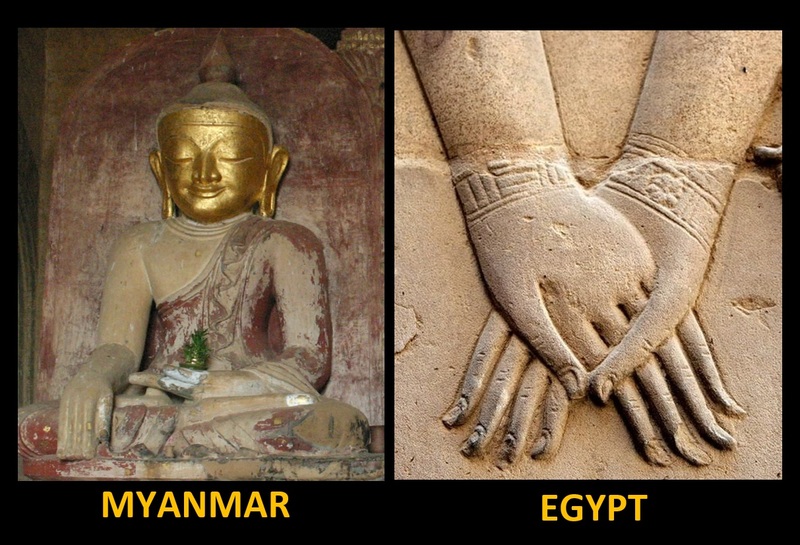 This parallel may indicate a prehistoric link that connects the artistic tradition of Dynastic Egypt to the artistic tradition of Myanmar. This is a small detail, but its ramifications may be significant. 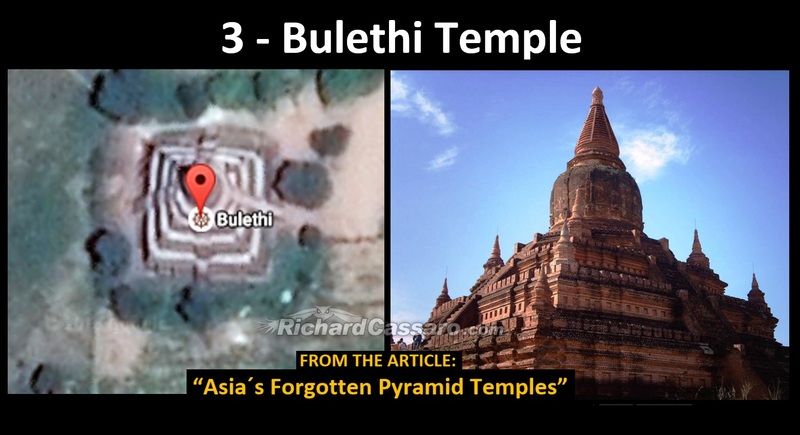 A similar connection linking Myanmar´s pyramid-temples to the more ancient pyramid cultures is visible at Myanmar´s Bulethi Temple. Like the Shwesandaw Pagoda, the Bulethi Temple has stairways on all four sides, giving it the appearance of a Mayan pyramid. Very little is known about this temple and very little literature exists explaining it. We are left to marvel at the parallels to the ancient Mayan—and Egyptian—pyramids. Yet parallel pyramids are just the tip of the iceberg. Mingun Bell, Mingun, near Mandalay, Myanmar depicts lions or lion-like creatures facing back-to-back. Left: Mayan depiction of twin lions or lion-like creatures depicted as back-to-back. Right: Egyptian depiction of twin lions back-to-back. More links to the pyramid cultures are apparent in the “Triptych” three-door entrances visible on the facades of many of Myanmar´s pyramid-temples. Salumani Temple is a “Triptych Temple” made up of three doors, with the door in the middle larger and wider than the twin doors flanking it. 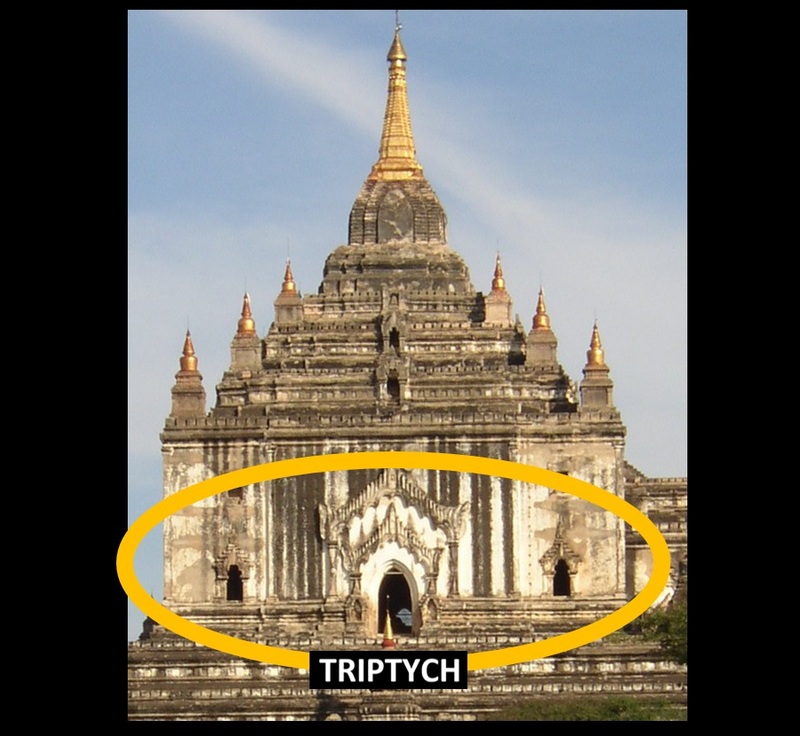 As I explained in Written in Stone, the “Triptych Temple” three-door entryway is a common feature among temples built across the ancient world, especially among the pyramid cultures. This discovery has not yet been recognized by archaeologists. My research shows that Triptych Temples symbolize the same Universal Religion, a “balance of opposites” wisdom-tradition expressing the eastern concept of “non-duality” that was shared by all ancient cultures, bar none. This Universal Religion teaches that we can achieive a metaphysical awakening by balancing the duality inherent in Creation, including the duality inherent in our own physical bodies. We can do this via a process of inner alchemy by finding the center between duality; this idea is signified by (taking) the center door between extremes or opposite forces. By featuring a massive three-door Triptych pattern, the Sulamani Temple, like many other Buddhist temples, shows us a deep and powerful link to the ancient Universal Religion of the pyramid cultures. Like Sulamani Temple, many other pyramidal structures on the Bagan plains are Triptych Temples. That Byin Nyu is a “Triptych Temple” made up of three doors, with the door in the middle larger and wider than the twin doors flanking it. That Byin Nyu Temple has the shape of a cross, which seems to symbolize the crossing of duality or the joining together of opposing forces, which is the meaning of the Triptych. 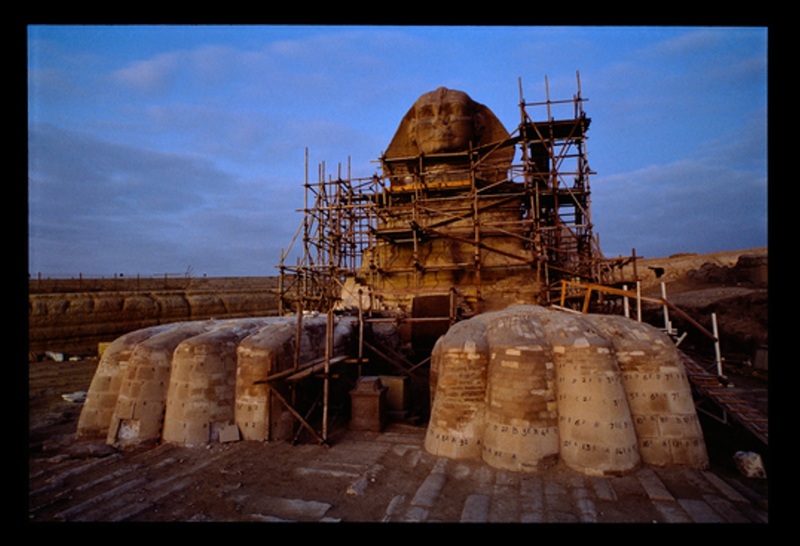 There are two primary storeys, and there is a large seated Buddha image located on the second storey. Large Buddha image in gold seated on a throne atop That Byin Nyu Temple. We “moderns” see gold as symbolizing material wealth; but in ancient cultures and religious traditions, like Buddhism, gold had deep spiritual significance. It symbolized spiritual awakening. Many “laughing Buddha” statues were painted gold or made of solid gold as symbols of happiness and good health. A great example is the famous “Golden Buddha” of Wat Traimit Temple in Thailand, which weighs more than five tons. 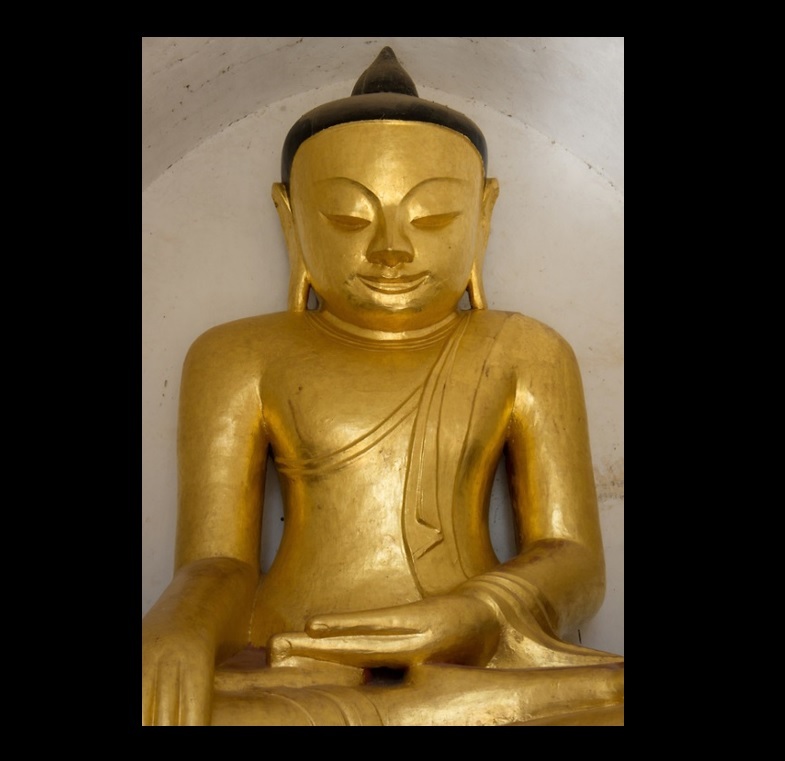 Gold represented enlightenment via the Middle Way. This concept of “spiritual awakening” is visible at the next temple we´ll look, the Gawdaw Palin Temple. 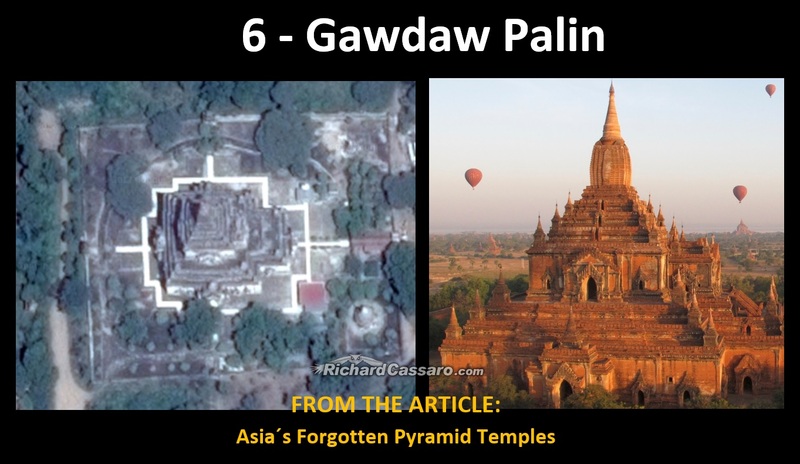 As with the first five temples in this article, the Gawdaw Palin Temple is shaped like a step pyramid. Construction of this pagoda is dated to the early 1200s, and since that time the temple has been used for meditation, devotional worship of the Buddha, and other Buddhist rituals. It suffered damage during a massive earthquake in 1975 earthquake and was reconstructed in the following years. Known as the second tallest temple in Bagan, Gawdaw Palin is two storeys tall, and consists of three lower terraces and four upper terraces. The upper courses depict a three-door Triptych entry, very much like the Sulamani Temple and the That Byin Nyu Temple. 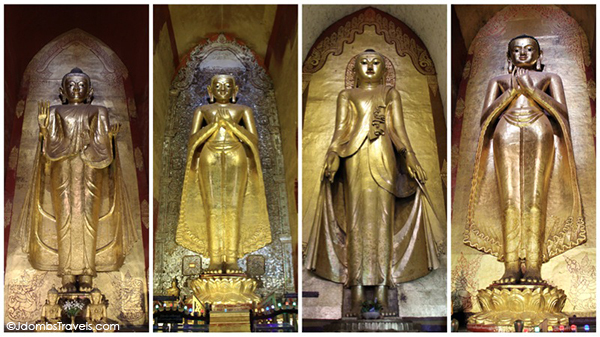 The golden Buddha statues inside leave little doubt that this pyramidal temple´s Triptych entrance signifies the Buddhist concept of awakening. 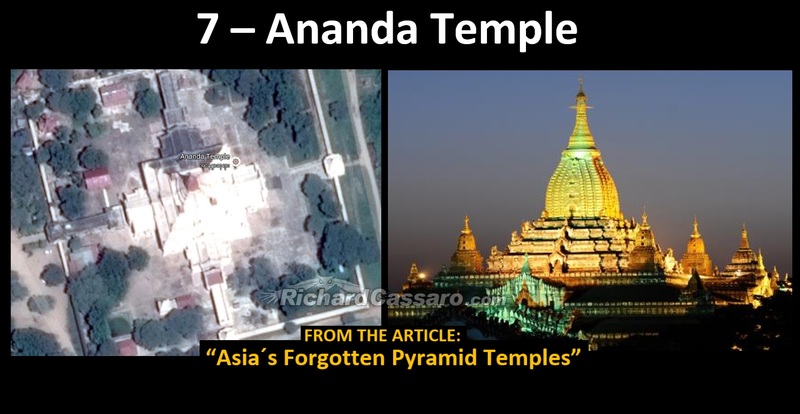 The final temple we´ll look at is the most famous of them all, Ananda Temple. 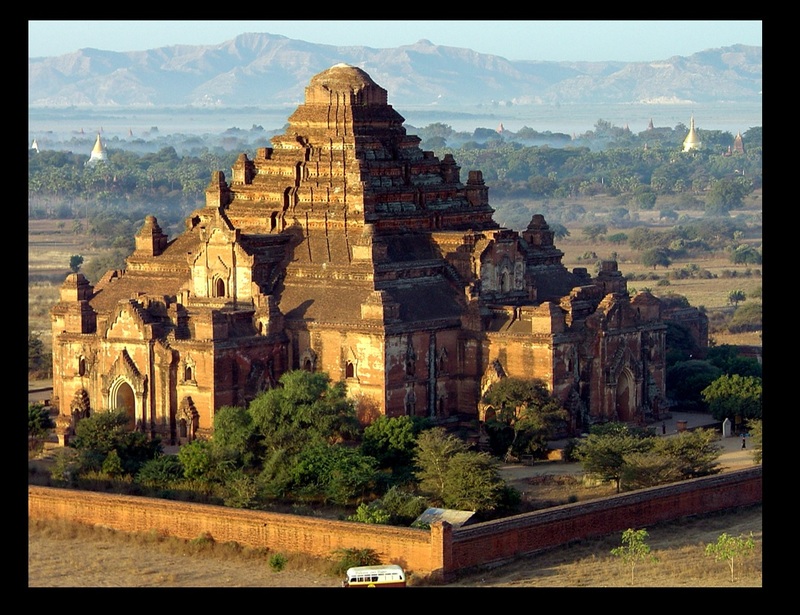 Said to have been built around 1105 by King Kyanzittha, the perfectly proportioned Ananda Temple is described as the finest, largest, best preserved, and most revered of all Bagan´s temples. After suffering damage in the 1975 earthquake, it was carefully restored to its former glory. The Buddhist temple houses four standing Buddhas, each one facing the cardinal direction of East, North, West and South. If the “attainment of Nirvana” is the ultimate meaning of the pyramidal temples of Myanmar, then could it also be the meaning and purpose of other more ancient pyramids around the world? 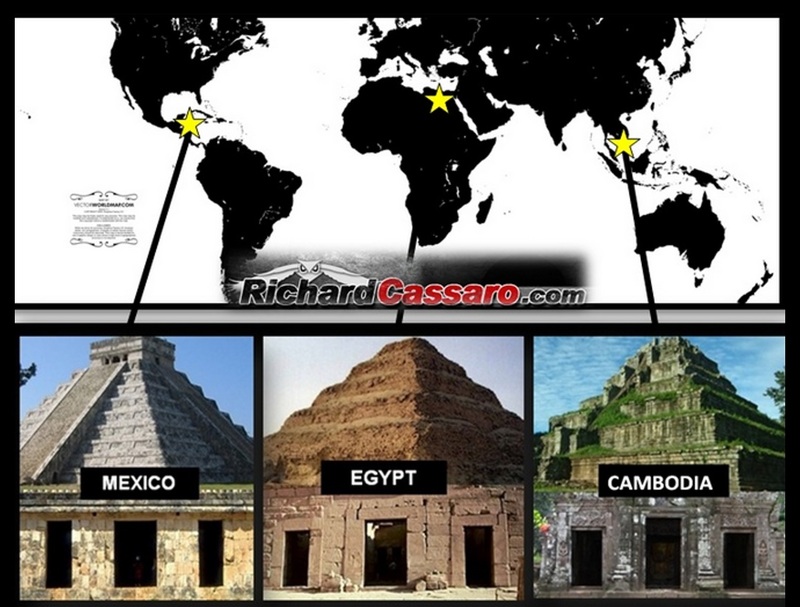 Is this same Buddhist concept of “awakening” also the meaning of all the world´s pyramids? 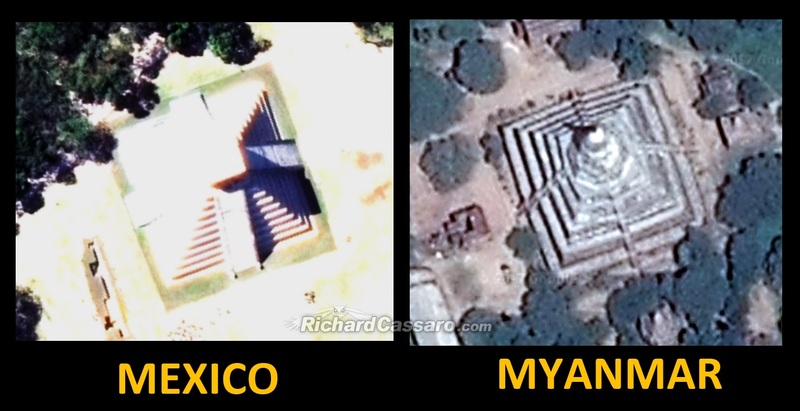 Were Myanmar´s temples designed to look like ancient pyramids to express this metaphysical truth? Was there a prehistoric pyramid tradition that once flourished in Myanmar? 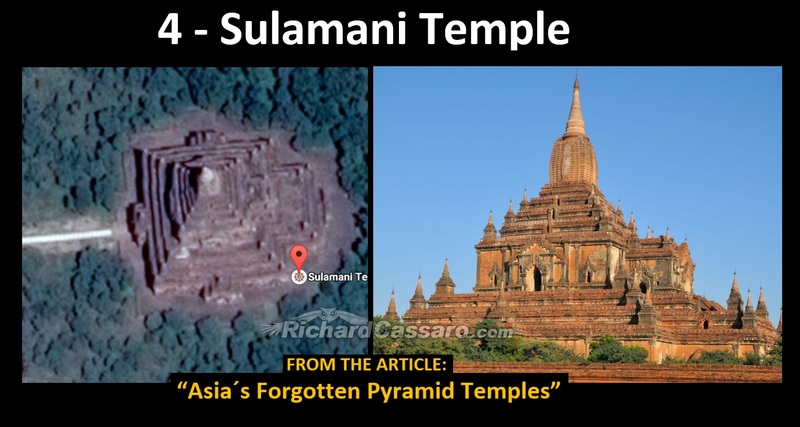 And could Myanmar´s pyramids be “shrouds” and “memorials” covering more ancient pyramids? Prior to the publication of Written in Stone, Cassaro enjoyed a successful career as a U.S. correspondent, professional journalist, and photo researcher for Rizzoli Publications, one of the world’s leading media organizations. Cassaro, who is a graduate of Pace University in New York City, has examined first-hand the ancient ruins and mystical traditions of Egypt, Mexico, Greece, Italy, Sicily, France, England, India, Peru and Spain; he has lectured on his theories to great acclaim in the United States, Egypt, Italy, Spain and Peru.Richard Cassaro © Copyright, All Rights Reserved. Unauthorized use and/or duplication of this material without express and written permission from this blog’s author and/or owner is strictly prohibited. Excerpts and links may be used, provided that full and clear credit is given to www.RichardCassaro.com with appropriate and specific direction to the original content. Wells, springs, lakes, and oceans have been considered sacred since the earliest days of mankind. Many of these water sources have been associated with gods, goddesses, spirits and demons. Throughout history, many mystical beings have been revered. Today, we look at a few of them. To the ancient Greeks, Amphitrite was a goddess of the sea. Over time, she became merely a consort of Poseidon. To the Romans, she was Salacia, consort of Neptune. Amphitrite, in addition to birthing dolphins and seals, also had a son and daughter father by Poseidon. Cybele is an ancient Phrygian goddess, at least 5000 years older than the Egyptian and Sumerian goddesses. Worshiped in Rome as the “Magna Mater”, or Great Mother, this maternal and queenly Goddess’ influence can still be seen in the worship of Mary in the Catholic faith. She is a goddess of fertility, of the earth and of animals. She can be found in caverns and mountains and all Earth’s wild places. Her son, Attis, died after castrating himself. When his mother resurrected him, she became an important deity to the ancients in matters of life, death, and rebirth. This Philistine god represented fertility, nature, and reproduction. From the waist up, he is a man, strong and virile; below the waist he is a fish. Dagon was also a god of grain and agriculture, worshiped by many cultures. He was a major god of the Semites, the Amorites, and the Philistines. Traces of his name have been found in the writings of ancient Hebrews, Akkadians, and other cultures. The ancient Chinese believe that their civilization was founded by Fuxi, an androgynous God with the head of a man in detail the fish. Traditionally, he was born in 3322 B.C. His gifts to society include the arts of writing, trapping, and fishing. Chinese mythology credits him as the first of the Mystical Sovereigns of ancient China. Fu Xi and his sister were the only survivors of a great flood near the Yellow River. In legend, he and his sister procreated, creating the human race. He became more popular once ancient Chinese society became patriarchal. Fu Xi is credited with developing the I Ching; other gifts to mankind include the secrets of cooking, net fishing, and Iran weapons. Glaucus was a Greek god of the sea, though the name has been given to several different figures. According to legend, Glaucus was a fisherman. The magical herb he found brought fish back to life, but turned him into a half man, half fish, forced to live in this sea forever. He was well received by the gods of the sea, who taught him the art of prophecy. Glaucus’ love for the beautiful nymph, Scylla, led him to seek the help of a witch, Circe. By refusing to return the witch’s love, he condemned Scylla to a terrible fate – she was transformed by Circe into a ravening monster with six heads and 12 feet. It is said that Glaucus helped Menelaus to return home; he also helped the Argonauts. He is credited with rescuing sailors from storms. Akashic is a Sanskrit word that means sky or ether. The Akashic records referred to a collection of knowledge written in the ether, that is, on a non-physical plane of existence. They have been around since the beginning of time, encoding all phenomenal and transcendental knowledge. It is believed that the Indians, Greeks, Christians, Egyptians, and many other civilized nations would tap into the Akashic records seeking wisdom. Nostradamus himself claimed to have used these records. It is believed that the full history of mankind is encoded in these records. Every living creature contributes to the records, and every creature can access them through various techniques, including meditation and prayer. When a person accesses the Akashic records, he or she will perceive both the events and the responses to those events – a multimedia cinematic treat. The Akashic records can also help tell the future, although the responses rely heavily on probability, based on previous behavior. Believers in the Akashic records claim that the Akashic was widely used; however, historical documentation has no evidence of this. In the awesome feat and New Age discussions, the Akashic records are seen as the records of all knowledge held in the universe, including human experience. Edgar Cayce believed that upon death, each person will access their Akashic record. This is said to help them discover what they have or have not done in life, karmically speaking. Others believe that there are many repositories of wisdom, like the Akashic library, scattered throughout the universe. Each of these repositories is said to exist on a different plane of existence. The Akashic records are also referred to as the Memory of Nature. It is believed to have recorded events from the beginning of creation to the present day. These records may be accessed by spirits and the spiritually enlightened. In The Law of One, Book 1, Edgar Cayce is asked how he receives his information. The answer received from “Ra”, Edgar’s spirit guide, tells us that he received his information from the All of Records, or the Akashic record. In seeking wisdom, people have relied on prayer, visualization, meditation, and other methods. In truth, all these methods can help you access the Akashic record, and to develop wisdom and compassion for all living creatures. 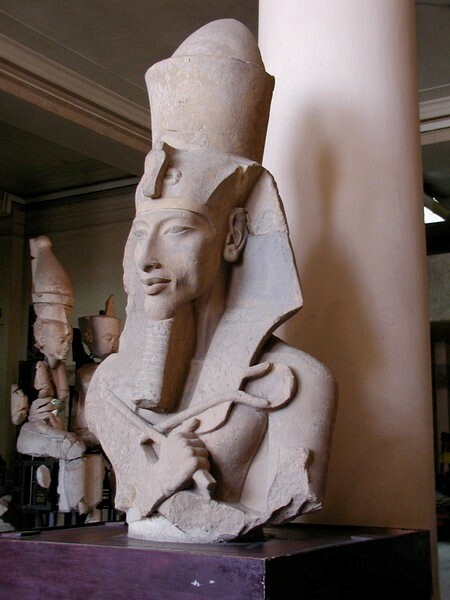 The Heretic King, Akhenaten, ruled Egypt during a time of incredible prosperity. He lived with his family in Thebes, a religious center and city of Amun. At a time when there were hundreds of gods, religion was big business. Thousands of priests worked tirelessly, serving their gods. Akhenaton’s parents, Amenhotep III and Queen Tiy, had six children. However, Akhenaton seems to be an outcast. Scientists now believe that he suffered from a disease called Marfan Syndrome, a genetic defect shared with Abraham Lincoln. While he had no portraits, no mention on monuments, his mother still seems to favor him greatly. Akhenaton succeeded his father to the throne in 1352 B.C., in a rule that lasted 16 years. While he is blamed for the loss of prosperity and decline in civilization in Egypt, evidence suggests that this had been an ongoing problem, one that came to a head during Akhenaton’s reign. Ancient Egyptians had a pantheon of gods to choose from, led by Amun. Akhenaton’s claim to fame is his religious reforms. Under his rule, Egypt became a monotheistic society, ruled by one God, Aten. This sun god was now the only God. Although Thebes had been a religious center for generations, Akhenaton developed a new religious center at Karnak. Obviously, religious differences between the two groups caused strain. Akhenaton broke with tradition, closing temples, destroying statues, desecrating worship sites, and taking the revenues given to the God Amun. The fallout from these actions would affect Egyptian civilization for many years. Akhenaton married the famous Queen Nefertiti, believed to be the most beautiful woman in the world. 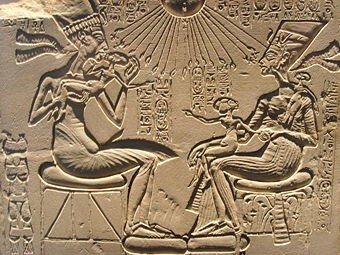 Carved stela show the happy couple, surrounded by children, worshiping the sun disk, Aten. In a rare show of affection, they are shown playing with their children. Pharaoh Akhenaton was single-handedly responsible for changing thousands of years of art tradition. Images of the other gods were now replaced by the one true image of Aten, the desk of the sun. When the Pharaoh built his monuments, he did not idealize his form; in fact, sculptures show him with a large head, wide hips, and elongated fingers and toes. In the end, Akhenaton’s dedication to monotheism could not last. He remained isolated in his new Kingdom, neglecting foreign policy and the bitter complaints of his citizens. After his death in 1332 B.C., Egypt returned to its polytheistic roots. Carl Gustav Jung was an influential figure in early psychoanalysis, one whose influence extends into current times. His theories on the unconscious mind, the “psyche”, and Jungian archetypes form the basis for much study. However, it is his theories on the archetype that have garnered the most attention. Carl Jung archetypes are not easy to understand, yet are as fundamental to psychoanalysis as gravity is to physics. An archetype can be thought of as a symbol, an idealized model representing a person, idea, or object, which is then emulated. Personality archetypes are often stereotypical, and may epitomize a person, their personality or behavior. “Mother figure” is an example of such an archetype. Jung believed that there was a difference between our individual psychology and the collective psychology of the universe. Not only did we each have our own personal unconscious, we were also able to tap into the collective unconscious for wisdom. He stressed the importance of studying archetypes, or symbols, in dreams, art, religion, mythology, and philosophy as a way to understand the psyche. By understanding the psyche, it was possible to understand why humans acted as they did. Carl Gustav Jung placed a strong emphasis on uniting spirituality and everyday life. A trip to India in 1938 led to a fascination with Eastern religions and philosophy, which had a profound effect on his ideology. Through these experiences, he gained an appreciation of the unconscious. He began to stress the integration of spirituality and everyday life. Jung firmly believed that there was more to life than the pursuit of material things. Our job, as he saw it, was to discover our true talents so that we could fulfill our potential. Jung saw this transformative journey in all religions, based on his study of Christianity, Hinduism, Buddhism, Gnosticism, Taoism, and many others. As we walk to meet the Divine, we go forth to meet ourselves. In order in order to begin this journey, it is essential to understand the symbolic power of archetypes. Meditation, doodling, viewing art, even auditory stimuli can help us to access the collective unconscious, that Akashic records, and unlock valuable clues to the meanings of our lives. As with all symbols, some are easier to understand than others. As many teachers before him, Carl Gustav Jung believed that we must integrate all aspects of our life – the spiritual and the mundane. Through careful study, we could identify our talents and use them for the greater good of mankind. 1909 Photo in front of Clark University. 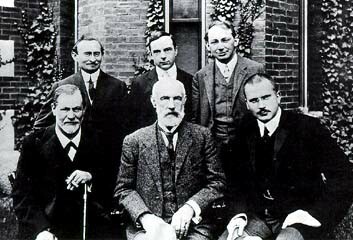 Front Row, L-R: Sigmund Freud, Granville Stanley Hall, Carl Gustav Jung. Back Row: Abraham Brill, Ernest Jones, Sandor Ferenczi. Photo courtesy of Wikipedia. Aliens are life forms, usually intelligent, that do not come from Earth. Many ancient civilizations believed in extraterrestrial life, including the Syrians, Egyptians, Chinese, Sumerians, and Babylonians. So, do aliens exist? Are there extraterrestrials walking among us? Over the centuries, mankind discovered not one but many solar systems, with millions and billions of planets. As more planets were discovered, the question arose. Are we alone in the universe? Or has life begun elsewhere, progressed beyond simple single cell organisms to develop into complex life forms, capable of thought. At first, it was believed that extraterrestrials could live on the moon, or perhaps Venus or Mars. Since then, the moon has been ruled out; Venus and Mars show no signs of life. That has not stopped scientists from attempting contact. Science has offered mixed results to the question of alien existence. While scientists have been unable to contact aliens, it is entirely reasonable to expect that aliens will have technology that is, well, alien. Our reliance on radio waves may seem painfully primitive to other species. Improved equipment, along with information gleaned from space probes, allows scientists to determine “habitability criteria” for other worlds. This has confirmed the existence of other habitable planets. Aliens, however, remain elusive. While science has been unable to confirm the existence of aliens, anecdotal evidence abounds. UFOs, or flying saucers, have been reported over many areas. Presumably piloted by aliens, these flying craft have caused confusion and fear. Many people claim to have been abducted by aliens, studied like common lab rats before being returned to their home. Others report the experience has been pleasant, soothing, and even transcendental. There are many accounts of aliens visiting the earth throughout history. Approximately 12,000 years ago, according to legend, the “Dropa” (dwarf-like extra-terrestrials) landed near the Chinese Tibetan border. Since that early account, civilizations across the globe have reported flying disks and alien visitors. Those who study aliens have found many different races, including Grays, Reptilians, and Nordics. Each race are said to have different origins and different motivations for visiting Earth. The four-foot tall Grays are most common in North America; Europeans are more likely to be visited by Nordic aliens — 12 feet tall, statuesque, and very attractive. Scientists often disregard reports of aliens, believing these reports are exaggerated by those seeking fame and fortune. However, many intelligent and stable people have reported alien abductions. Victims who have undergone psychological counseling do not appear to be lying or crazy. In fact, many influential people claim to have had contact with aliens. So do aliens exist? Perhaps we should look to the sky for answers. Perhaps the strongest argument for the existence of intelligent life elsewhere is the fact that they haven’t tried to make contact with us. 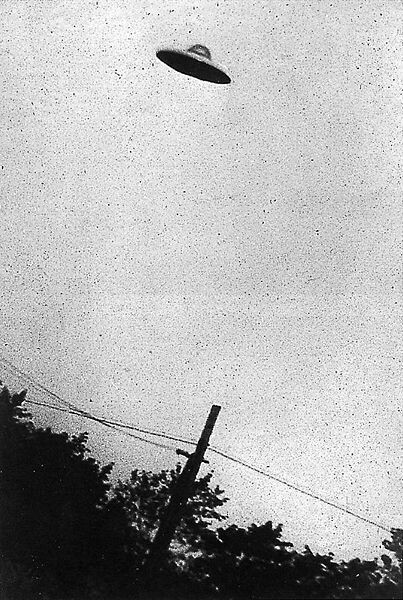 Purported UFO – photo taken by CIA employee. Courtesy Wikipedia. The elusive Grey, courtesy Wikipedia. The Anasazi culture emerged around 1200 B.C. Modern Pueblo people are descended from these ancient Pueblo ones. But where did the Anasazi come from, and what can they teach us? A period of intense climate change caused their ancestors to seek a new home. They settled in modern day Arizona, New Mexico, and Colorado. 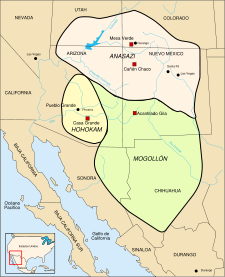 Although the term Anasazi is commonly translated as ancient people, it is a Navajo word meaning “enemy ancestors”. 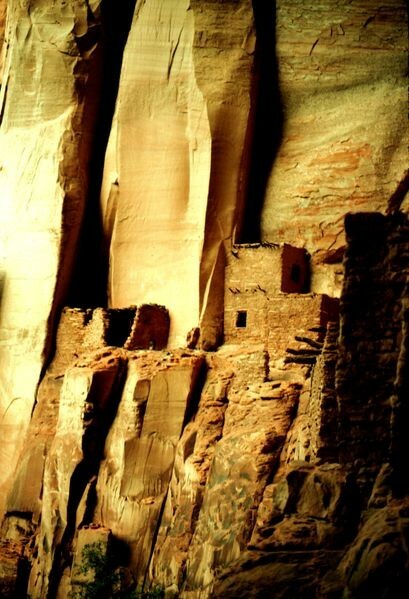 The Anasazi Indians lived in adobe and sandstone homes, built along cliff walls accessible only by rope or ladder. They are famous for the unique pottery, rare and valuable. Their artistic flair extended to petroglyphs and pictographs carved into the stone. Many of these still survive in National Parks of the United States. From 700 to 1130 AD, the population boomed. The rains arrived on schedule, and food was plentiful. It is likely that people from surrounding areas hoined the communities. The Anasazi were masters at pottery, making beautiful containers to store food. And food was abundant – as the Anasazi learned about agriculture, it seemed that times of famine were forever gone. 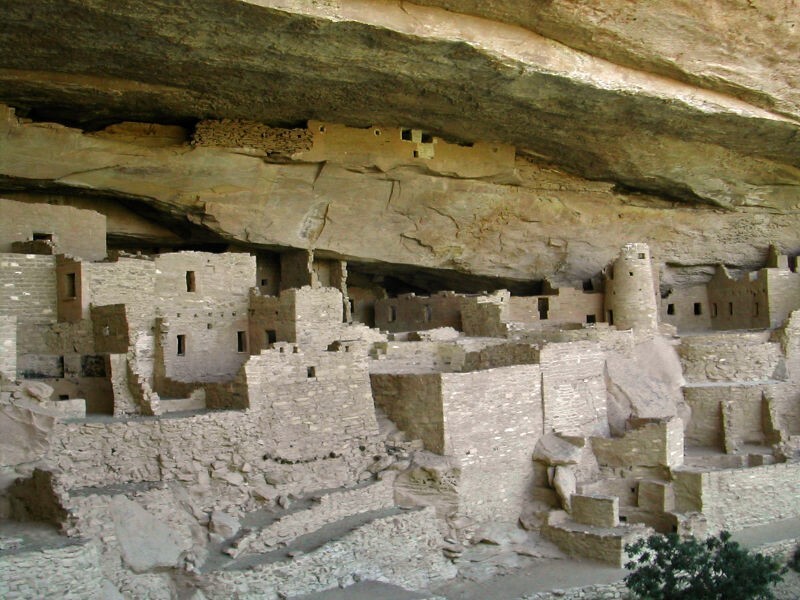 The Anasazi Indians lived in Mesa Verdi, Colorado for over a thousand years. They are vibrant civilized nation created complicated cities in the cliffs in caves. Other settlements, like in Moab, Utah, are similarly complex. Yet they disappeared around 1300 A.D., as mysteriously as they had come. It is unknown why they disappeared. A 300-year-long drought which began in 1150 A.D. may have caused the Pueblo peoples to abandon their cities. While farmers in certain areas were able to rely on irrigation, the Anasazi did not have this option. The area became increasingly arid and inhospitable. At the same time, water tables dropped, making the problem worse. During this period of want and hunger, the Anasazi began to abandon the old religion, dismantling and even burning religious buildings. Puebloan tradition tells us that their ancestors became very powerful, with the ability to control the forces of nature. The ancestors abused this power, changing nature in unexpected ways. It is believed that the dismantling of religious structures was meant to appease Nature, an apology for the abuse. Starvation leads to conflict over scarce resources. Many Anasazi tribes moved to high locations, far removed from food and water. From a ??? standpoint, this seems ridiculous; from the standpoint of defense, it makes perfect sense. The archaeological record shows this to be a time of turmoil, warfare, and possibly even cannibalism. So where are the Anasazi Indians today? Some assert that they died off, victims of starvation and war. Others believe that the Anasazi migrated to other areas, merging with Pueblo peoples whose ancestors still live in Arizona and New Mexico. The ancestors abused nature, and the result was a people divided, scattered to the winds. Perhaps we can learn our lesson, before it’s too late. The State of Alaska is the largest in the US. Alaska and Hawaii are the only two states which are not bordered by another state. In fact, Alaska is separated from Washington state by approximately 500 miles of Canadian territory. The residents of Alaska are rugged individualists, as befits the unusual land in which they live. While much of Alaska is cold, the Panhandle region enjoys a remarkably temperate climate. In addition to all the ice, there is fire. The Aleutian islands contain many active volcanoes, including Mount Shishaldin which reaches 9980 feet above sea level. Around 12,000 BCE, Asiatic peoples crossed the Bering land Bridge into Alaska. Over time, their culture developed into the Haida, Inuit, Eskimo, Tlingit, and many others. Fur traders discovered Alaska in 1741, and the riches of the Coast brought others. Early traders were Russian, though Russia never really colonized Alaska. In 1867, the USA purchased Alaska for $7.2 million. In the 1890s, gold was found. Miners and settlers rushed to Alaska and the nearby Yukon in search of riches and fame. Some found riches; many more returned home, broken in body and spirit. 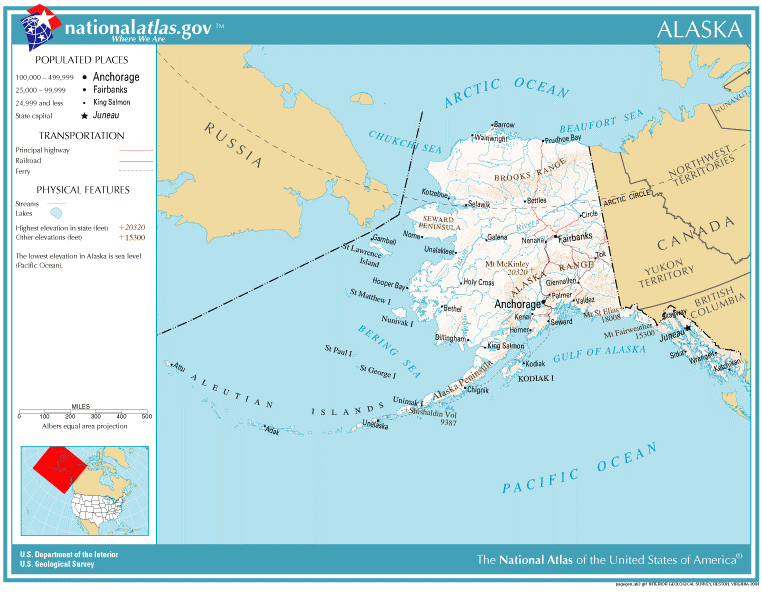 Alaska was granted territorial status in 1912. During World War II, three of the Aleutian Islands were occupied by the enemy. Alaska became the first line of defense against foreign military campaigns. Military bases were constructed, which contributed to the population of some cities. In 1959, Alaska officially became a state. Alaska’s main exports include oil, natural gas, and seafood. There is little agriculture, aimed at producing what the state’s residents require. Likewise, manufacturing is limited. The main employer is the government, but companies that specialize in extracting natural resources are always hiring. In both Fairbanks and Anchorage, military bases contribute to the local economy. While there are many native groups remaining in Alaska, most of them are commonly referred to as Eskimo. In reality, Eskimos fall into two main groups: Inuit andYupik. A third group, the Unangam, is also related, though their culture became distinct 4000 years ago. Today, the Inuit are most common in northern Alaska, Canada, and Greenland. The Yupik are found along the Gulf of Alaska and in Russia. 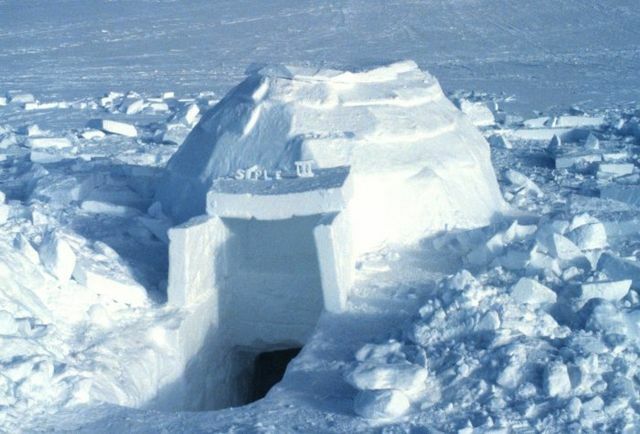 In many areas, the term Eskimo has been replaced by the term Inuit. In Alaska, however, Eskimo is still used to refer to both the Inuit and the Yupik peoples. In reality, there are over a dozen distinct peoples, all with their own language and culture. The land of the midnight Sun has captured our imaginations. Its unique peoples and culture welcome visitors from across the globe, as it has for over 12,000 years. Throughout time, man has believed in ancient astronauts, intelligent beings visiting Earth from another planet. Some theories even suggest that the gods of ancient myth are really extraterrestrials, descending from on high to help primitive mankind develop. Those who believe in ancient astronauts suggest that ancient mythologies of gods descending from the heavens are merely representations of aliens visiting Earth in UFOs. In these myths, godlike beings possess awe-inspiring powers, the result, some say, of incredibly advanced technology. Many legends referred to flight. In India, Sanskrit epics describe flying machines involved in aerial battles. In the Old Testament, Yahweh is credited with a metal “body”, accompanied by a column of smoke and the sounds of trumpets – a far cry from the outstretched arms and protective wings described in Psalms. In both South America and Egypt, small models have been found that are remarkably similar to modern aircraft. Ancient Japan’s small clay figurines, the Dogū, appear humanoid. The eyes, however, bear a remarkable resemblance to descriptions of aliens from throughout history. And Brazilian legends describe visitors from the sky, educating early people on astronomy, medicine, agriculture, and more. Examples of petroglyphs and cave art often represent people and animals. These artful depictions also include more troublesome details. Some seem to depict helmeted figures, even with antenna. And the Dogon tribe of Mali, West Africa believe that ancient astronauts gave their people wisdom and humanity. 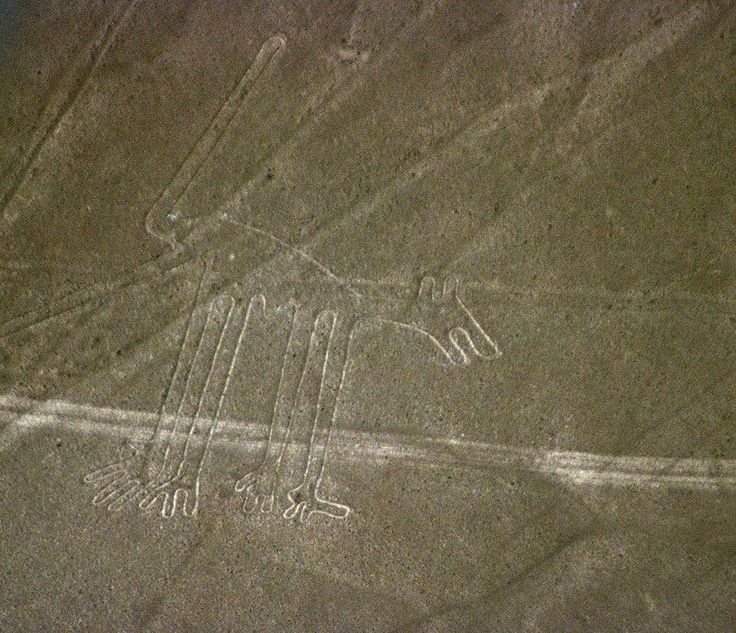 Perhaps the most mysterious evidence comes from the Nazca Lines, geoglyphs in Peru. There are hundreds of figures, ranging from very simple lines to incredibly detailed animals, fishes, and birds. The largest of these figures are nearly 900 feet long. Interestingly, these designs are only recognizable from the air. Obviously, these ancient peoples wanted to communicate with someone much higher than themselves. But who? In more recent times, renaissance art contains what some believe to be UFOs. Ancient astronaut theorists believe this to be proof that ancient astronauts reappear from time to time, checking on our progress. Evidence from art and culture only raises more questions. Until clear archaeological evidence is discovered, to search for ancient astronauts will continue. These paintings from Italy were created around 10,000 B.C. 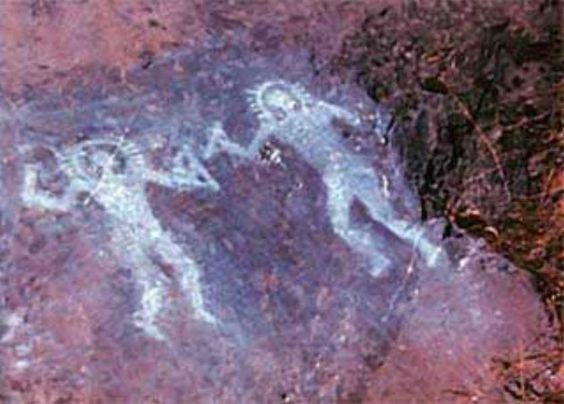 Believers claim that these figures may depict ancient astronauts. Courtesy Wikipedia. A Nazca Line from Peru, created by the Nazca Culture ( 200 B.C. to 700 A.D.), courtesy Wikipedia.